Nephritis is a broad term used to describe patients who have inflammation in one or both kidneys. Sometimes referred to as Bright’s Disease, nephritis is the ninth leading cause of death in America today. There are several tests that must be performed by a licensed physician in order to accurately diagnose and treat nephritis. When these tests are not performed as directed, or the results are misinterpreted, a misdiagnosis can occur. Misdiagnoses can have severe and lasting consequences for patient’s long term health and quality of life. A person’s kidneys contain tube-shaped structures known as nephrons. Waste is processed by the kidneys before eventually moving on to the bladder for disposal through the urine. In cases of nephritis, the nephrons fail to function properly due to inflammation. The kidneys eventually begin to have trouble determining between what is waste and what is fuel. Essential proteins are flushed out along with the waste. If left untreated, nephritis can cause proteinura, a serious condition. Correct diagnosis of nephritis is essential for proper patient health and recovery. A physician should first request their patient’s full medical history in order to uncover any predisposition or genetic propensity toward this condition. Doctors should then evaluate and observe all reported signs and symptoms, which often requires a multifaceted approach. One of the more common signs of nephritis is water retention. The patient’s hands, feet or face may appear puffy or swollen. A physician will often be able to feel for swelling in the kidneys. A blood and urine test must also be performed in order to accurately diagnose this condition. High levels of protein in the urine indicate the kidneys are functioning improperly, while a low level of protein in the blood is a sign that essential proteins are being flushed out of the patient’s system. When all diagnostic procedures are not followed, or when test results are misread or improperly performed, a misdiagnosis can occur. This can lead to the doctor mistakenly treating a patient for nephritis when the condition is not present, or treating a false condition other than the nephritis. In either outcome, the consequences can be extreme. Nephritis can lead to kidney or heart failure, which often results in death. It is important to hold doctors accountable for their diagnosis. Should they fail to provide accurate diagnosis and treatment for their patient’s condition in a situation where any other reasonable doctor would have acted differently, they may be guilty of medical malpractice. If a doctor misdiagnoses a nephritis condition, that patient may be eligible to file a medical malpractice suit seeking damages. 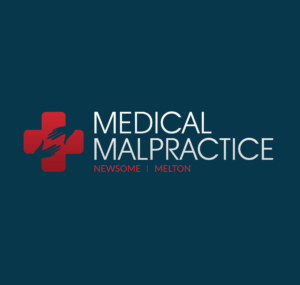 A malpractice attorney is an invaluable resource during this type of case. Malpractice law is fraught with legalese and loopholes. A medical malpractice attorney has the skills and experience necessary to ensure their case has the best possible outcome.